It’s the Metabo 10.8v PowerMaxx 12 combo. kit, featuring a drill/driver, impact driver and also, a handy little torch. I’ve been after something like this for a long time as I believe these drills could be ideal for the average woodworker who spends most of their time within a cabinet making workshop, as opposed to working with larger components on a building site. 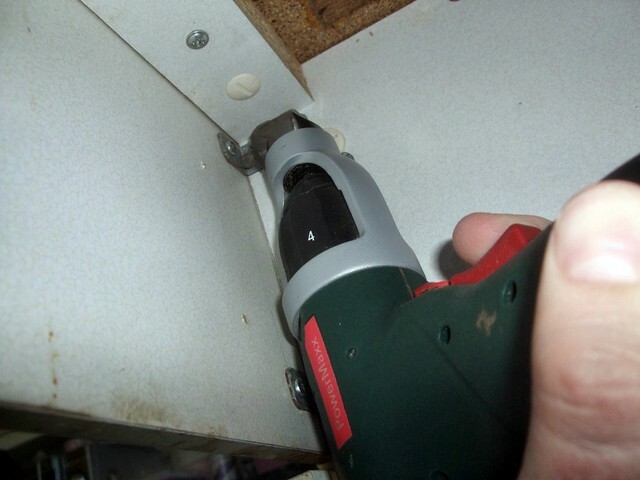 It may be that I don’t use the impact driver too often at all but, for an extra £60 over one of the basic, stand-alone drills, I felt it was well worth the additional investment, for those rainy days. Before this purchase, I had been eyeing up the Bosch set for some time but, the release of this new kit from Metabo coincided with a rise in my financial fortunes and, with the inclusion of an additional angle chuck attachment (not available with any of the competitors‘ models), I was sold green German machines. Unfortunately, this angle attachment I keep raving about was missing when I received my goods – however, Toolstop were already on to the case and, along with several other new owners of these tools, I should have one in my possession early in the New Year. 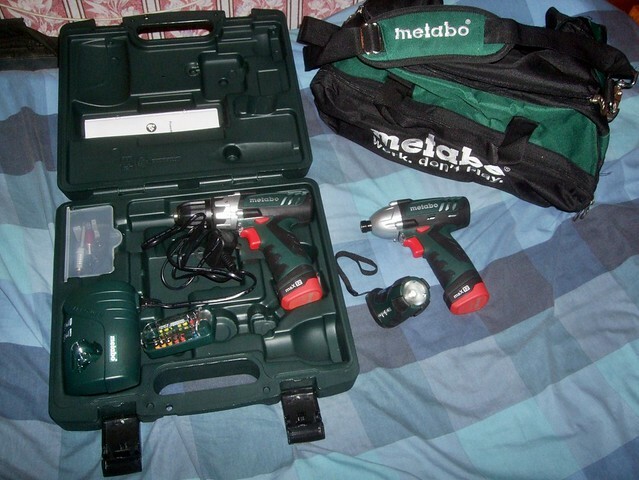 I don’t understand Metabo’s logic with regards to tool storage, here… The drill/driver arrives in a purpose-designed carry case and yet, the impact driver comes ‘loose’ inside a tool bag… A systainer or L-Box (see the Bosch drills) would have been ideal but, for some strange reason, they’ve decided not to go down that route this time. I can see that the bag may useful when I’m working away from the workshop but then, does that render the plastic case as irrelevant? Thank you for reading my blog over the past twelve-months. Metabo was a great choice, love their range.